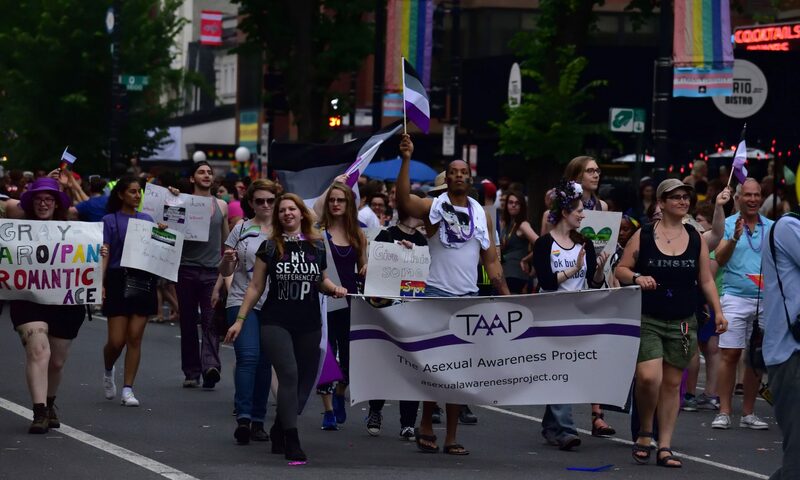 TAAAP is presenting this workshop with Asexual Outreach. Every year, more asexual and aromantic people are showing up in LGBTQ+ spaces seeking support, resources, and community. In order to accommodate this growing group in your organization, work, and activism, a clear understanding of these identities is essential. This session will build that understanding while highlighting specific issues that arise from systemic racism, disablism, and cissexism. It will give you a unique opportunity to ask questions, participate in discussions, and connect with resources. Aromantic and asexual people often find that they “pick and choose” aspects of the significant relationships that they form. This session will review how aromantic and asexual people approach relationships and how all people can use these approaches to form fulfilling relationships without being tied to existing relationship models. This will help present new, practical approaches to consent and the gender and financial dynamics that are a part of any relationship. Asexual and aromantic youth often seek support and community from LGBTQ+ youth spaces, but when they face barriers to inclusion, many are left with nowhere to go. This workshop will familiarize you with ace and aro youth issues, especially as they intersect with racism, sexism, disablism, and transphobia. We will provide you with resources and knowledge to support these youth, and will help you build an action plan to make your youth spaces more inclusive. This caucus is a space for people who identify under the asexual and/or aromantic umbrellas to come together and share experiences. Through a discussion of how asexuality and aromanticism intersect with attendees’ other marginalized identities, we will brainstorm how to make our activism and support spaces more inclusive and respectful. Please note this is not for questions on the basics of asexuality and aromanticism, although curious allies are welcome to come listen.